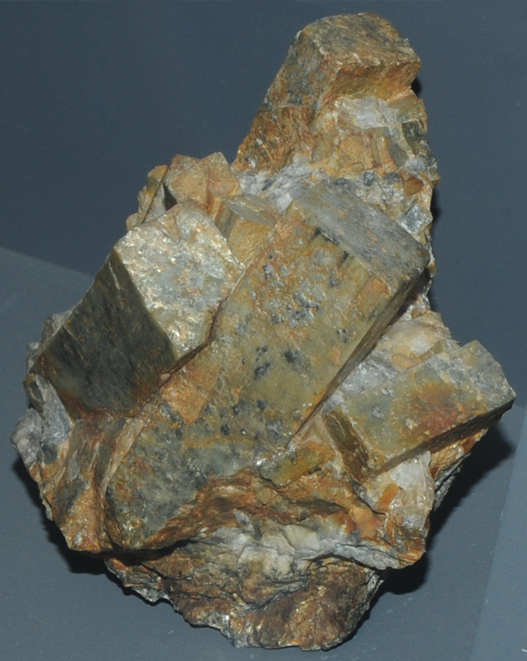 Andalusite is a silicate with composition Al2SiO5 . 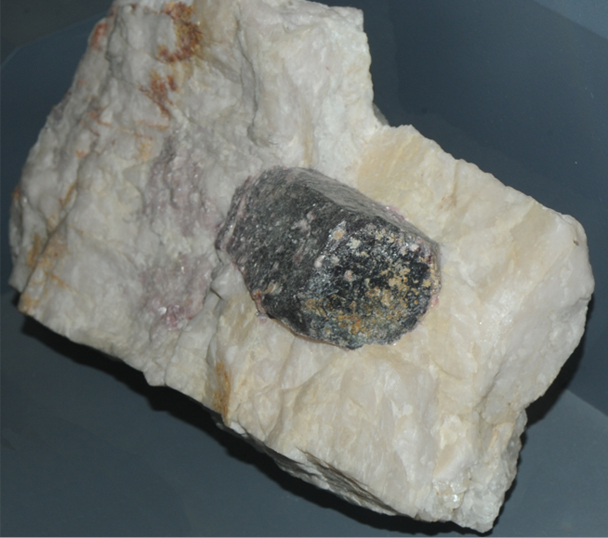 This sample is about 7x7 cm and is from Lusens Alp, Sellraintal, Austria. The chemical compostion is the same as the minerals sillimanite and kyanite. 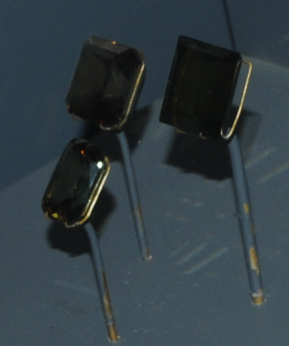 These samples are on display at the Smithsonian Museum of Natural History. 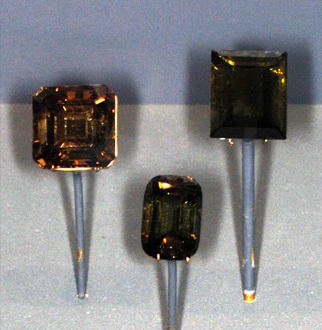 These andalusite gems are 28.3, 13.5, and 30.5 carats and are from Minas Gerais, Brazil. This sample is described as andalusite altering to muscovite. This sample is about 7x5 cm and is from Harding pegmatite, Dixon, New Mexico.